SCHOOLS, COMMUNITY CENTRES & OLD FOLK’S HOMES IN SINGAPORE. Please give me a call to discuss making Raised Bed Gardens for your community. It’s a fun & friendly healthy outdoor activity for all ages. The public in general are becoming far more aware of, and resistant to, pesticides, herbicides & chemical fertilisers on their ‘fresh’ food. Quite understandably, people don’t like to be poisoned with GMO’s, Roundup or any other poison for that matter. But there’s no getting away from eating poison nowadays, is there? It doesn’t matter if you live on a piece of barren land, up a mountain or on a concrete car park. You can still have a fantastic garden that produces tons of wonderful organic goodies, even in a small space, without poisons. Hang on, I’m coming to that. Go to the Human8ture ® part if you haven’t been there yet and read about composting of humanure and composting / horti/agri waste; it will really help you understand the following. Okay, here it is; no big secret, or is it? Raised bed organic gardening with humus / compost / soil; based on Mel Bartholomew’s book, Square Foot Gardening. With this method, there is no need for back breaking labour, no need for fertilisers, pesticides, herbicides or suicides. SOS! SAVE OUR SEEDS: save / store seeds in a dry place for an endless supply of seeds. SOS! SAVE OUR SEEDS: by allowing 10% of plants to go to seed you will have more than enough to plant for your next crop. 6″ to 8″ inch high wooden boards that make a 4×4′ box (various combinations possible) Raised bed – therefore off the ground (on groundsheet / netting / paper etc) . SOS! SAVE OUR SEEDS: by saving and reusing seeds, plants will aclimatise and become bigger and stronger and more resistant to local diseases. Create a box section of wood (as above) FYI: pressure treated wood has cancer causing arsenic in it. 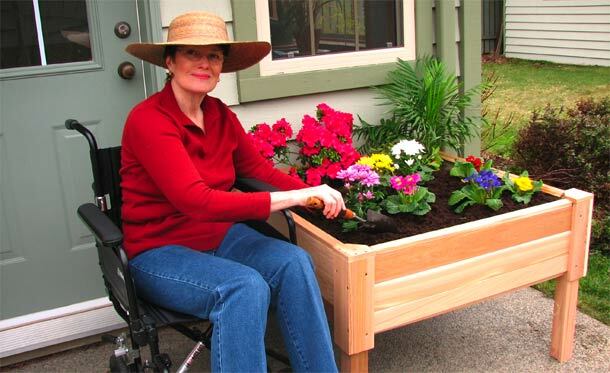 Sit your box frame on a piece of shade cloth or similar base to stop weeds coming up. Fill the box up with natural, horticultural compost / humus / soil. Use thin strips of wood to square the box off into one foot sections. Okay, now you’ve got the idea, why not go vertical? If you’ve got a patch of land that’s only 4ft by 1ft you can stack your garden boxes vertically. Make a framework and go up, keep the sun in mind when locating your patch. Same idea goes for steps. You can make a very attractive and productive garden on steps up by making one foot square boxes using the same principals. Thanks Mel. Now go and buy the book folks! CALL ME FOR A FREE QUOTATION ! An elevated SFG is very empowering; it allows lesser able bodies to enjoy the benefits of SFG. CLICK HERE or on the photo to go to a great site on planning, building etc. This is a MUST SEE site. supply and availability of water is increasingly diminishing and is unevenly distributed globally. Already today, large parts of Asia, Africa and the Middle East face either physical or economic water scarcity. SuSaNa. In this article above we discuss the difference between GMO ‘manufactured’ seeds/crops and naturally occurring open pollinated seed grafting. Scroll down to the bottom of the article to see what it has to say about Monsanto. Organic Gardening, source, Science Daily, is a form of gardening with composts that uses substantial natural bio diversity in pest control, especially when using companion planting techniques, to eradicate the use of pesticides and industrial fertilisers. The Humanure Handbook also has some great tips and information. SOS! SAVE OUR SEEDS: save your seeds and you will save yourself tons of cash! Why pay for more seeds when you can generate them for free? What I love about this is, you could store water in the base during the ‘wet’ and have enough for your plants all year round. I will be adding more about companion planting later on (so much to do – so little time) but suffice it to say, here’s a great method for growing your own veggies in a small space that could include your balcony, that not only puts human waste to use (and stops toxic waste going into groundwater, rivers etc) but also doesn’t require heavy labour or poisons. Not bad, huh? Haller is a grassroots kickass organisation that helps people in urban slums to become self sufficient urban guerilla farmers. Great stuff on aquaponics, solar, fish etc etc. Check it out on the link above. Great stuff! But you couldn’t have this system (or a version of it) on farmland, could you? Why not? Farmers could double or triple their land size by using this method, cut down on labour and machinery and make huge savings in not using poisons. And give us end users some non toxic food. GOT AN OLD PALLET LAYING AROUND THE BACK YARD? THE TRUTH ABOUT WOODEN PALLETS I just found this ‘warning’ page about wooden pallets and felt I should share. While you are at it, you should GOOGLE and do some research on heritage seeds. Go on! You could be looking at this in less than 12 weeks! SEEDS: this is an add-on but I want to make a separate page eventually. 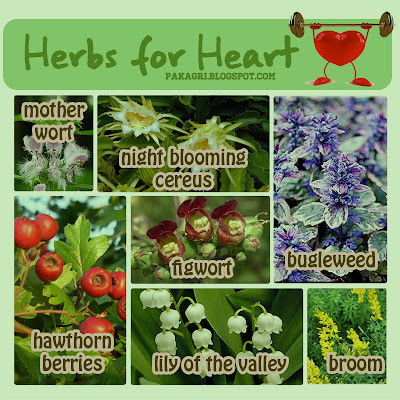 If you have information on seeds, especially heirloom, please share and I will post. SHOULD COMMONS CODA INCLUDE RECYCLING OF HUMAN WASTE?